The goal of treatment is to reduce artificial joint pain, to increase mobility and to replace the function of the damaged joint. The idea of ​​implanting an artificial joint occurred in late 19th century among physicians dealing with surgical treatment of diseases of the locomotor system,. The first written records speak of an attempt of replacing parts of the hip joint, or head of thigh bone in 1891 in Germany. Surgery was performed by a certain Dr. Gluck T, and used ivory as replacement material. The outcome was uncertain, but those were the beginnings of today’s modern branch of medicine that deals with implantology, ie. 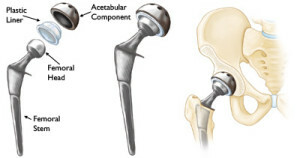 the replacement and installation of artificial joints. 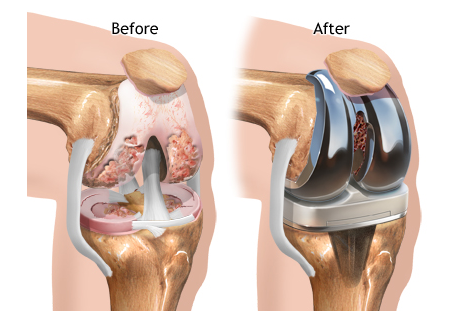 Endoprosthesis, arthroplasty or prosthetic implant are terms that are used in modern medicine where the surgery removes the damaged part of the joint and installs a replacement one, made of modern synthetic materials. Replacement of hip and knee are most often used in practice. 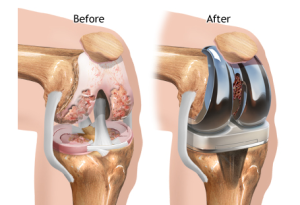 Once the decision is made to replace a joint, it is recommended that the patient undergoes preoperative rehabilitation, where they will learn the basics of exercising and use of mobility aids they will need after the surgery. It has been shown that better mobility and muscle strength of the affected joint contribute to better results and faster recovery after installing an artificial joint. You also need education on activities of daily living after installing an artificial joint and a small adjustment in the living space (an elevation for toilet bowl, raising the bed, removing carpets to prevent the possibility of slipping etc.) Rehabilitation begins immediately after installation at the department and continues most often in the spa. After arriving home people with mechanical prosthetic joints should continue to do the exercises in order to better strengthen their muscles and to improve the stability and flexibility of artificial joints. A person with an artificial joint may also be involved in regular exercise programs at the FizioTurk Health Centre.